Mono and Stereo High-End Audio Magazine: LAMPIZATOR POWER CABLE! LampizatOr writes: "An amazing offer. We have been making lots of cables, all types, for many years. 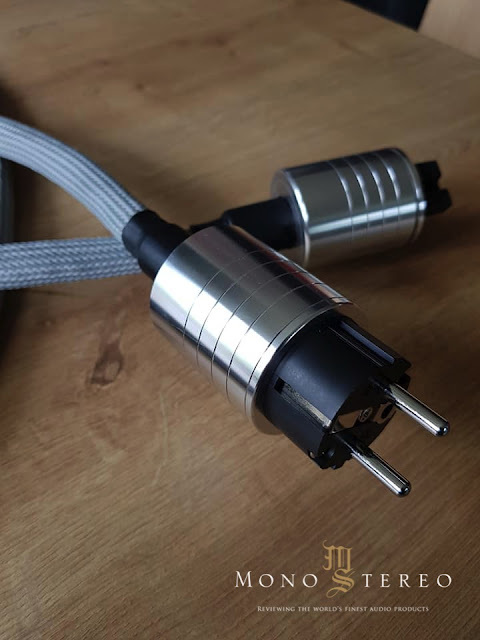 Our most successful cable to date has been the USB type, where special geometry and use of very special vintage silver gave amazing results. The cable has never knowingly been beaten by any cable period. 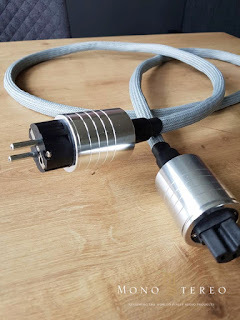 But fast forward - the Lampizator Cable Guy (my employee) just announced to me (he is a Paganini of cable making, has been doing it as main profession for 30 years) that besides working for me, he has been burning the midnight oil trying to develop at home the best AC cable of his life. This took over 4 years of prototyping and failing and prototyping again." "FINALLY the result is here. He brought to me one sample, and after just two songs - I ordered a production run of 20. This cable is so good that it almost scares me. I am by education a power distribution engineer, and I know this and that about cables and delivery of electricity. So even if this cable effect has no right of existence - I must trust my ears. 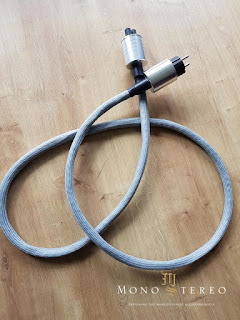 This cable transforms my system from very good to unbelievable. It makes the sound way more 3-D, more palpable, almost hallucinogenic. Your mileage may vary but I must admit I never ever heard the AC cable sounding this good. (except the Verictum cable at 2700 Euro) And if you believe that cables are cables and this is silly - don't buy it and don't comment. Anyhow, I am keeping 5 for my home, 5 for my factory lab, and 10 are for SALE. This cable takes 2 full days to make for a specialist. The conductors are tinned stranded copper, with the secret ingredient of SILICON INSULATION (also makes the whole cable soft and easy). The geometry is three of quad-braids with interbraid windings - very sophisticated stuff. You must braid 12 thick cable runs simultaneously. The plugs are very decent metal bullets. The whole thing is the master craftsmans ultimate effort to make good sound due to AC cable. Length is 2 m and AC plus are only Schuko and female plugs are only IEC. Color of sleeve is silver/gray. If you dont like it - I will refund fully. Take 3, and postage is free."